The Integrated Ocean Drilling Program (IODP: 2000-2013) has provided crucial records of past and present processes and interactions within and between the biosphere, cryosphere, atmosphere, hydrosphere and geosphere. Research in IODP encompasses a wide range of fundamental and applied issues that affect society, such as global climate change, biodiversity, the origin of life, natural hazards involving the study of earthquakes processes, and the internal structure and dynamics of our planet. This compilation of major findings from the 2003-2013/14 phase of IODP, focusing on scientific results rather than description of data acquisition and early inferences, provides invaluable information. Anyone wondering what scientific drilling can achieve will gain quick understanding of the range of questions that are uniquely addressed with this methodology and the ways these data dovetail with other regional information. The excitement of breakthrough findings that occasionally accompanies a drilling project will be evident. IODP obtained unique records from the global ocean basins during the 2003-2013 program phase. 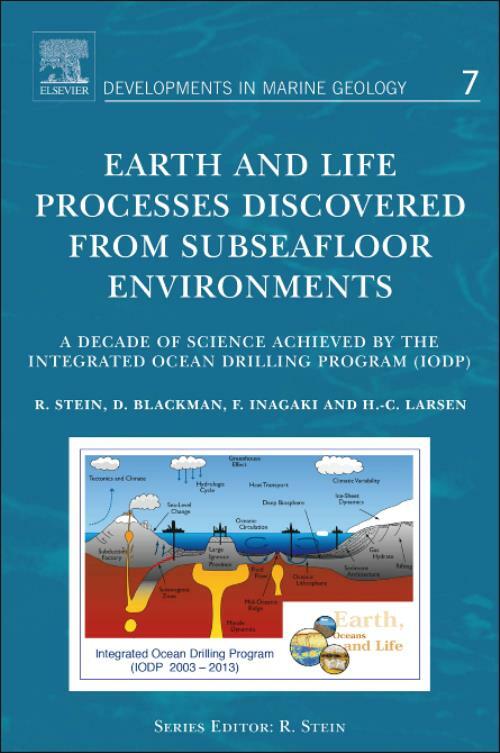 This book highlights findings in three theme areas: Subseafloor life and the marine biosphere; Earth's changing environments; and Dynamics of the solid Earth. Each core or borehole log provides a window revealing insights that no other data achieve.